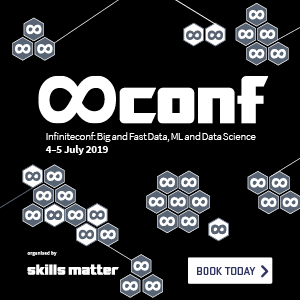 Join John Boshelle for a talk about graph building, utilising location data and AIS, graphs utilitising nodes, edges and costs, and algorithms using Douglas Peucker Reduction. 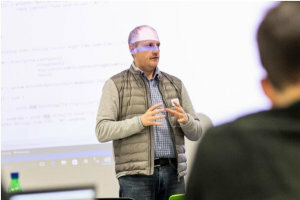 For anybody involved in doing open source development with Microsoft .NET, the last decade has been nothing short of remarkable - and there's not many people better qualified to tell us about it than Scott Hanselman. What is the clean architecture - and how you would build one in .NET? There is so much going on in the tech world nowadays, new programming languages, new APIs and new tools everyday. Trying to keep up with all of it can be challenging. So how can we guarantee a smooth developer experience? Everyone seems to be talking about Kubernetes with companies seemingly tripping over themselves to support or adopt it. We will question how to implement a good API call, using our Slack bot, Noobot as a base, and deep dive on the common mistakes, also examples to show how we can make it better! Windows Containers? In my Production Environment? Totaljobs.com recently migrated their three highest-traffic .NET 4.6 apps (combined 45k hits/min) from a shared server to Windows containers. This talk covers the state of the infrastructure before we started and why we made the decisions we did (including the question “why not Linux”?). Making the Windows Command-Line Great Again. Let’s get together and chat about what Microsoft is doing to overhaul the Windows command-line experience in Windows 10, and how Windows Subsystem for Linux (WSL) allows you to run Windows and Linux tools and platforms (inc. .NET Core) simultaneously. On the same machine. Without VM’s!